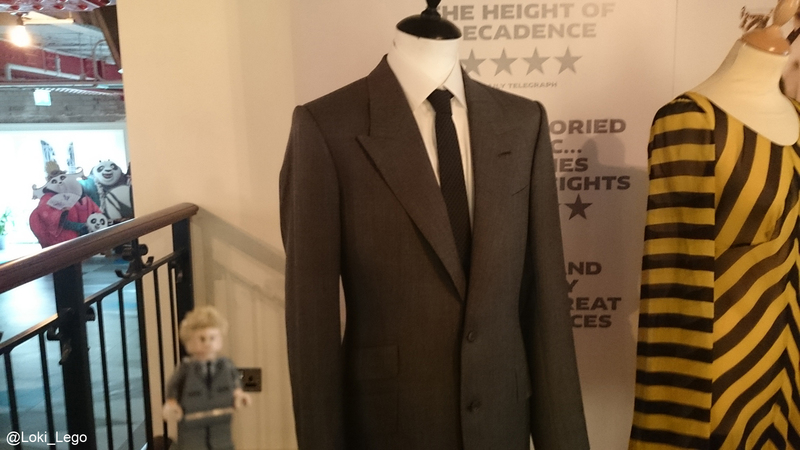 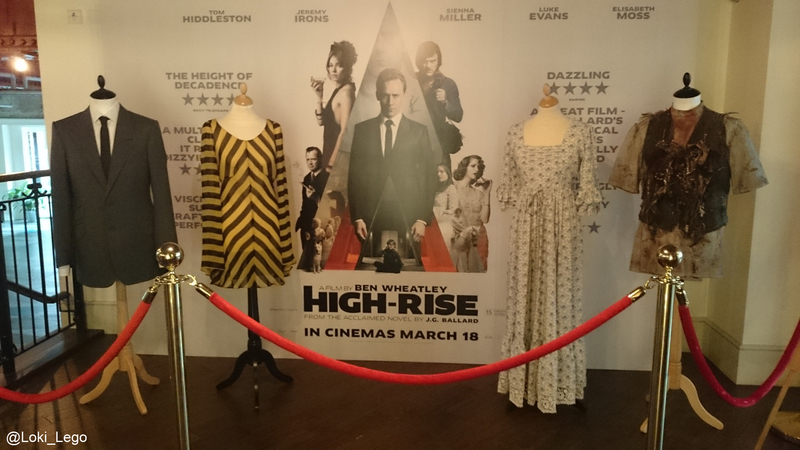 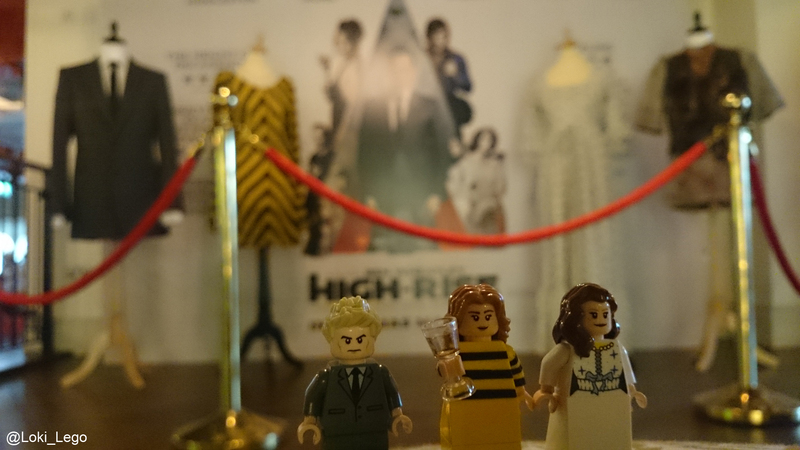 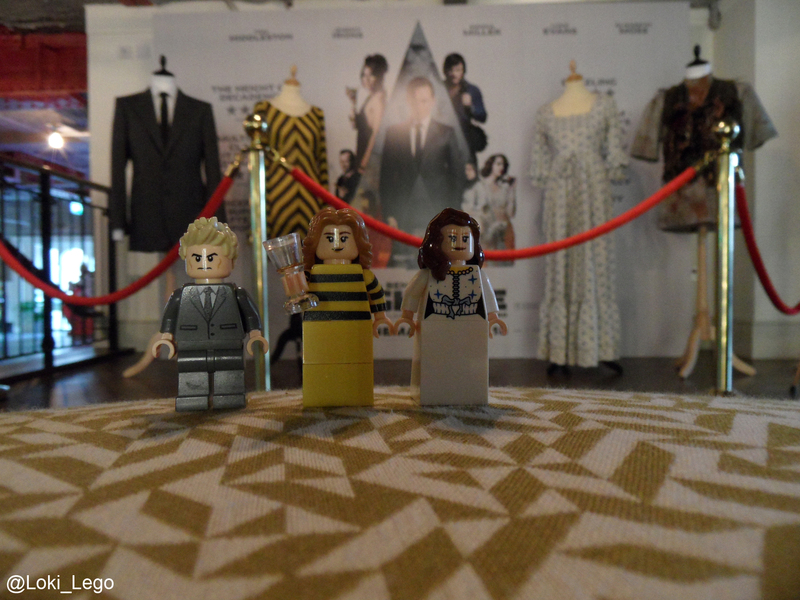 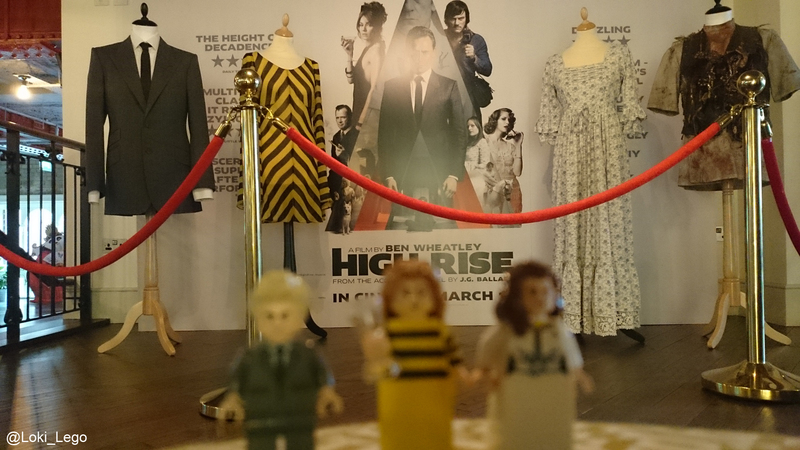 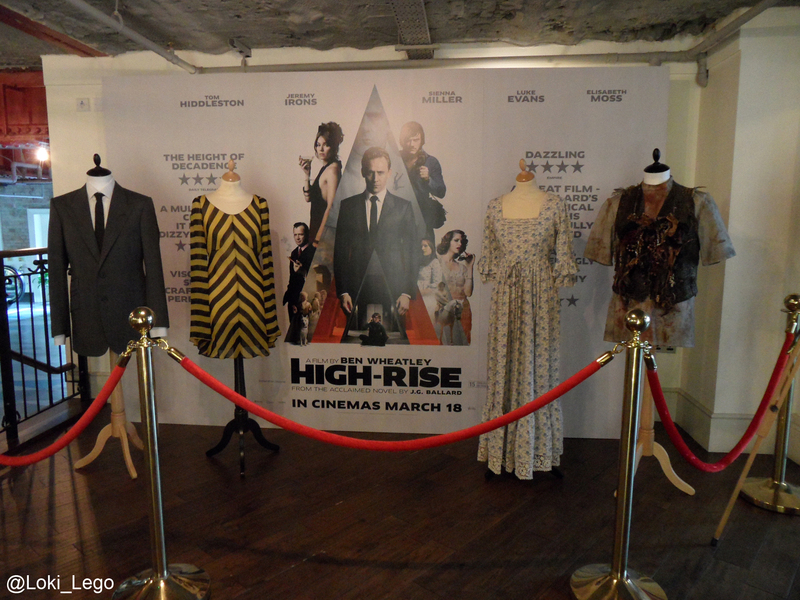 Today I visited the Picturehouse Central, ahead of tomorrow’s screening as I had heard that the wonderful costumes from Ben Wheatley’s film High-Rise were upon display in the venue. 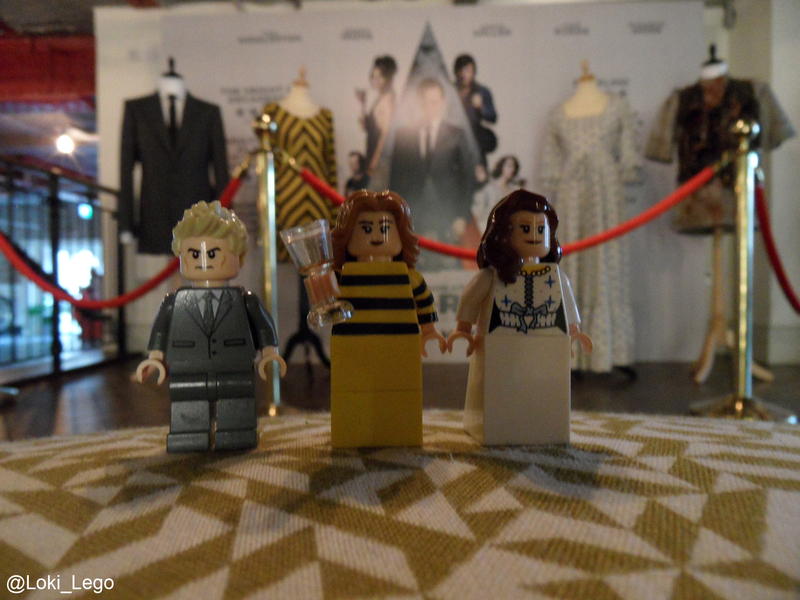 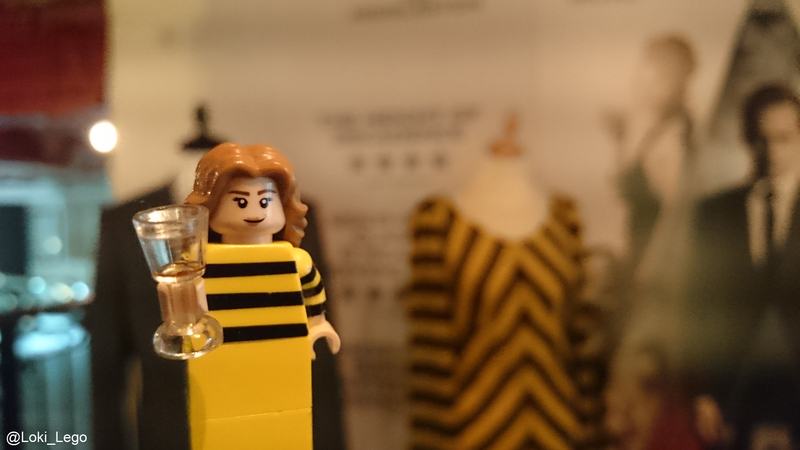 I have spent many hours creating my own Lego versions of these costumes, and could not believe my eyes! 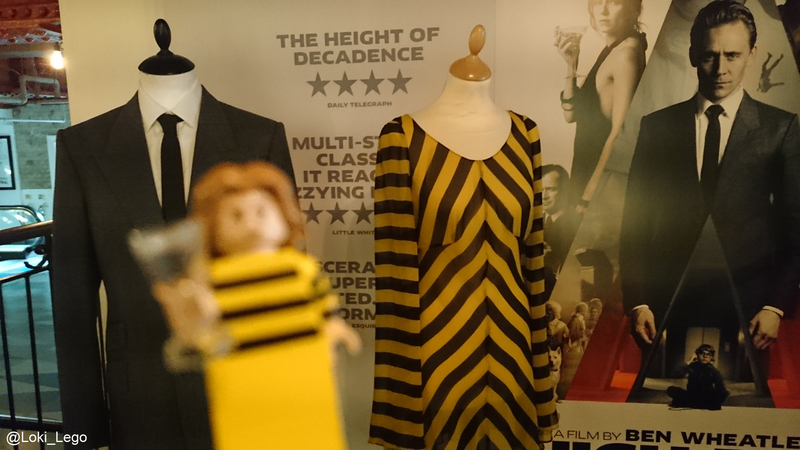 There they were… Laing’s suit jacket, Charlotte’s yellow and black outfit, Helen Wilder’s dress, and Steele’s jacket, complete with his collection of teeth. 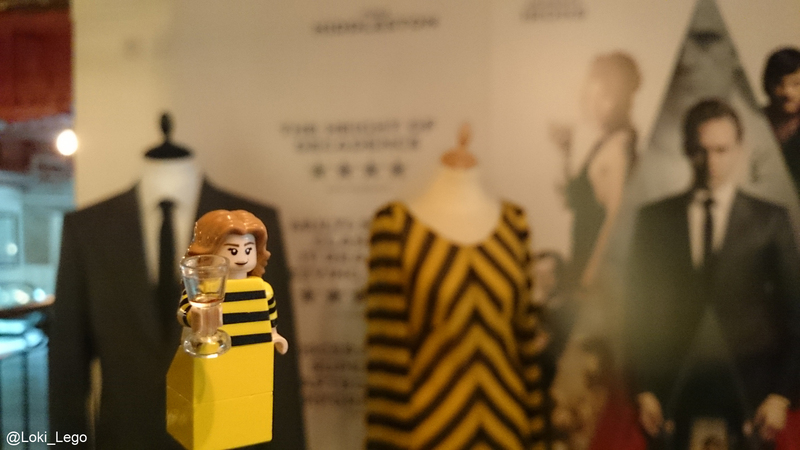 The beautiful yellow and black stripped top Charlotte Melville wears during her first meeting with Laing and to her party. 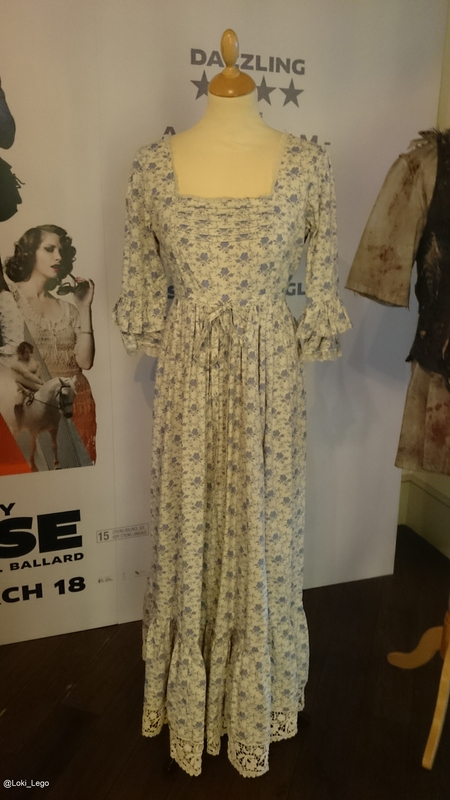 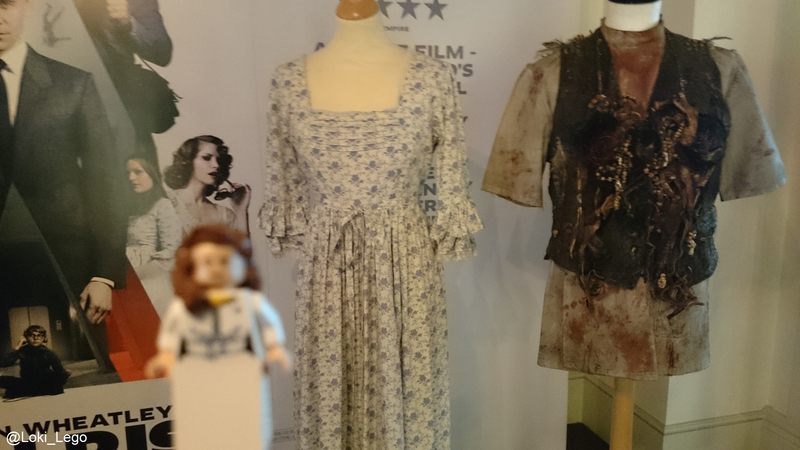 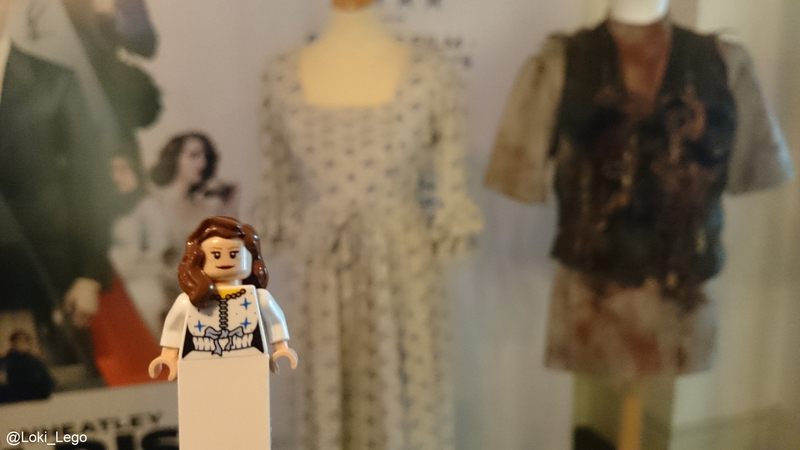 During the Q&A I attended at the British Library costume designer Odile Dicks-Mireaux pointed out that Charlotte often wears stripes and prints. 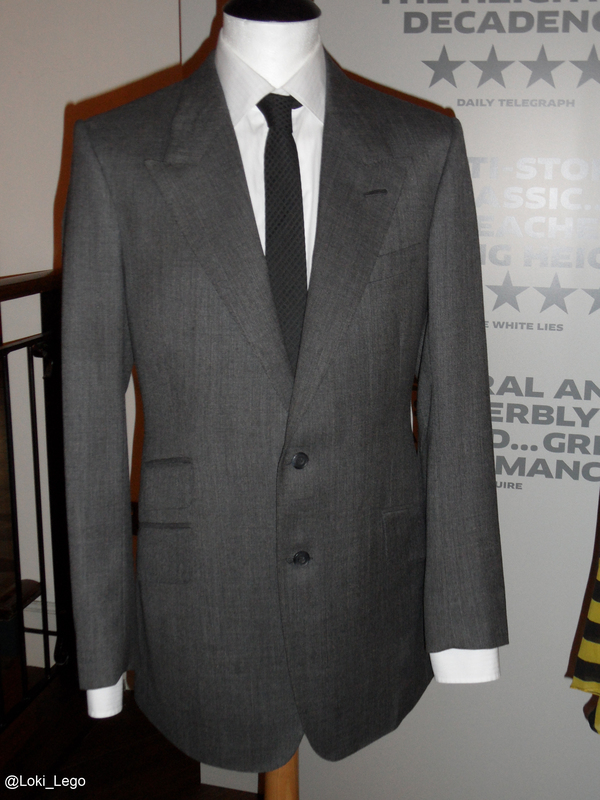 Laing’s beautiful suit. 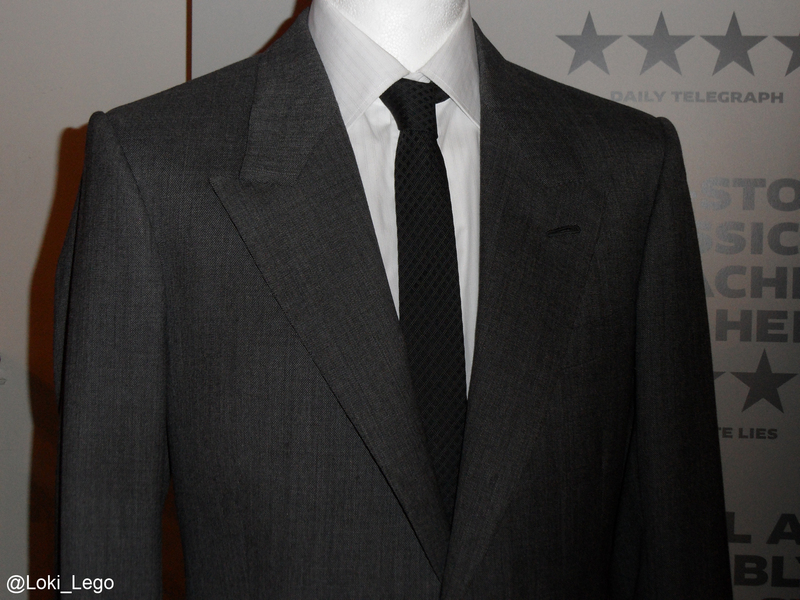 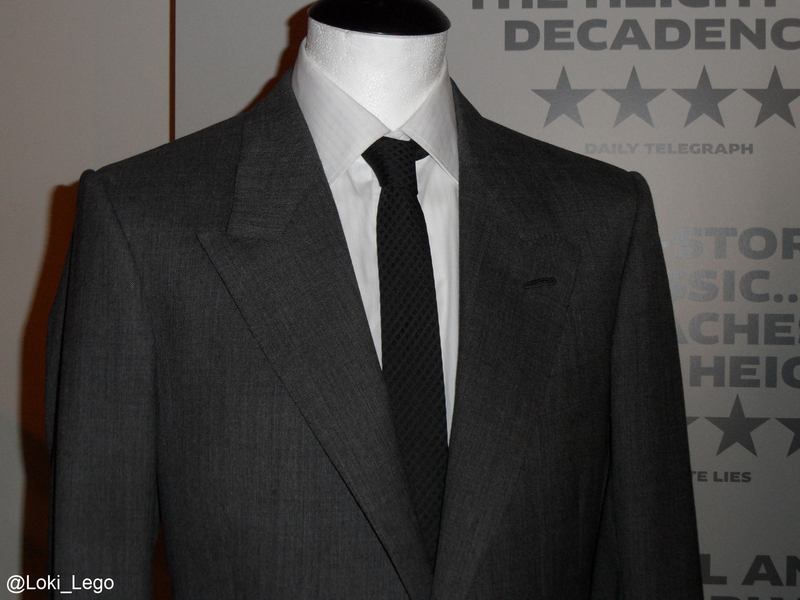 Odile Dicks-Mireaux said that this costume was based on a suit worn by George Lazenby as James Bond in 1969. 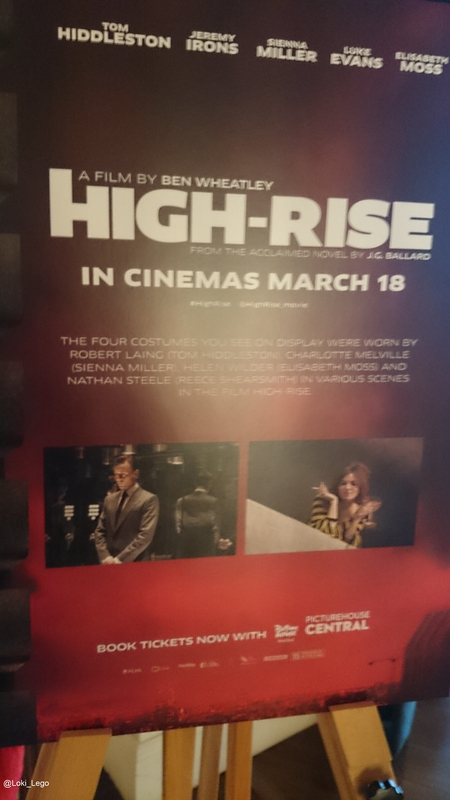 A plaque detailing which costumes were on display. 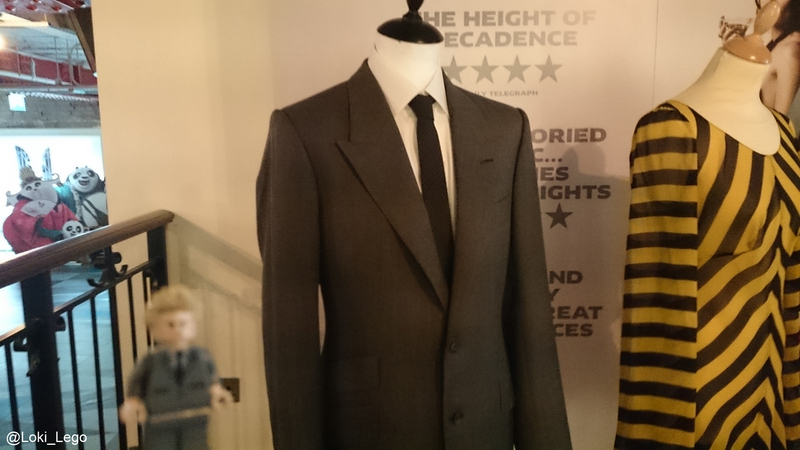 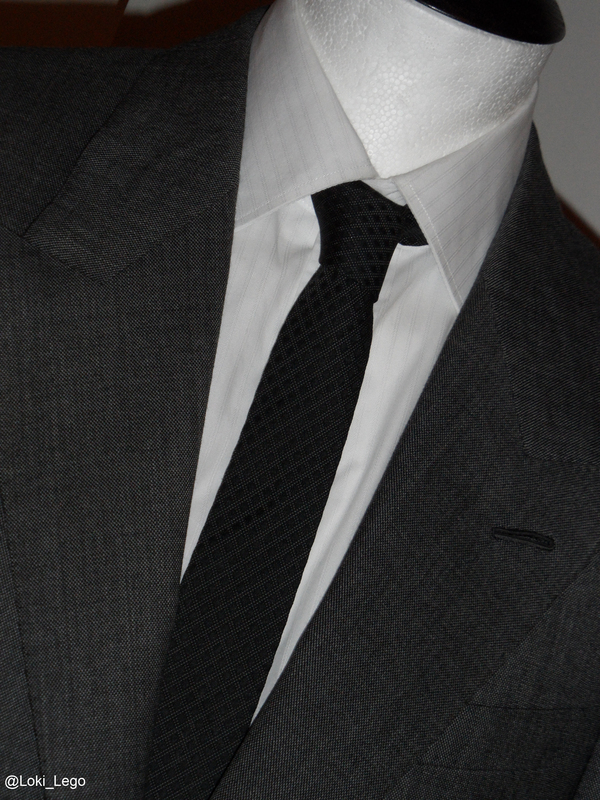 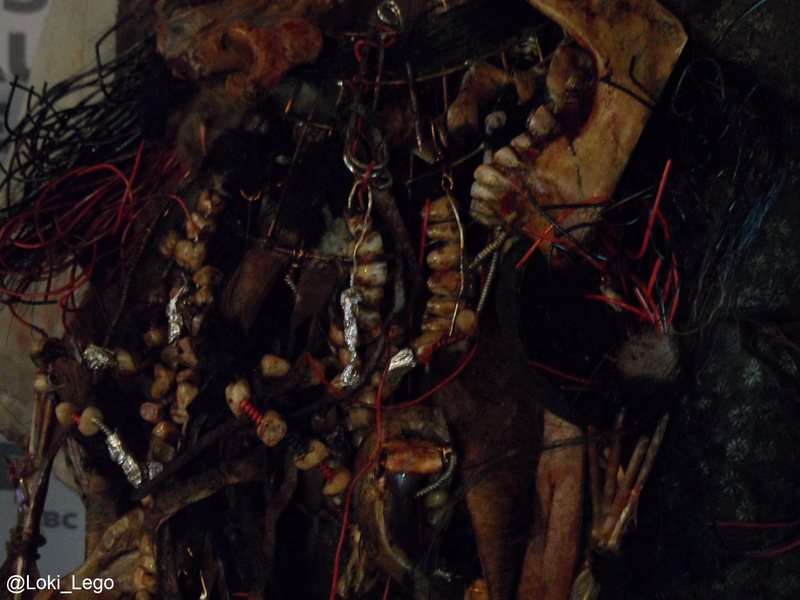 I observe the wonderfully detailed costume worn by Steele in the film. 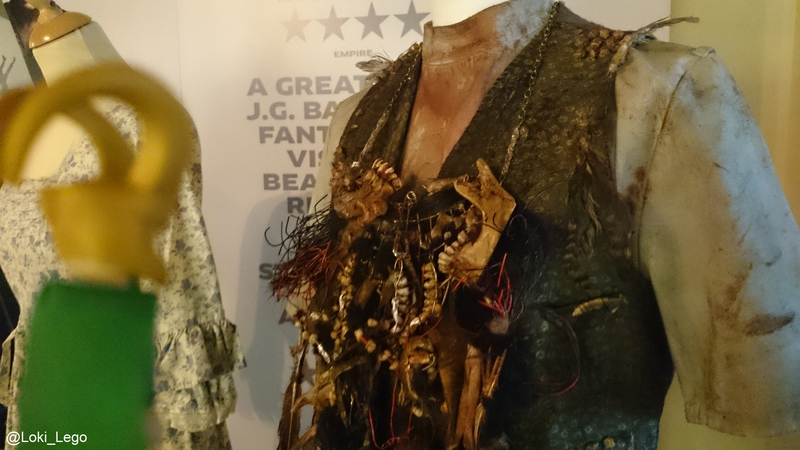 Odile Dicks-Mireaux said that this was her favourite costume to create.